Road Resurfacing – DynaCoat Inc. The quality of our roads is so important. DynaCoat does their part to ensure safety for all who travel them. We offer fully comprehensive road resurfacing packages that cover minor patching repairs, resurfacing and full construction. We are proud to employ the finest asphalt paving crews who offer extensive paving knowledge and keep safety top-of-mind. We strive to be #1 when you choose from a list of road resurfacing companies. Our asphalt rollers are optimally sized to take care of small and large jobs. 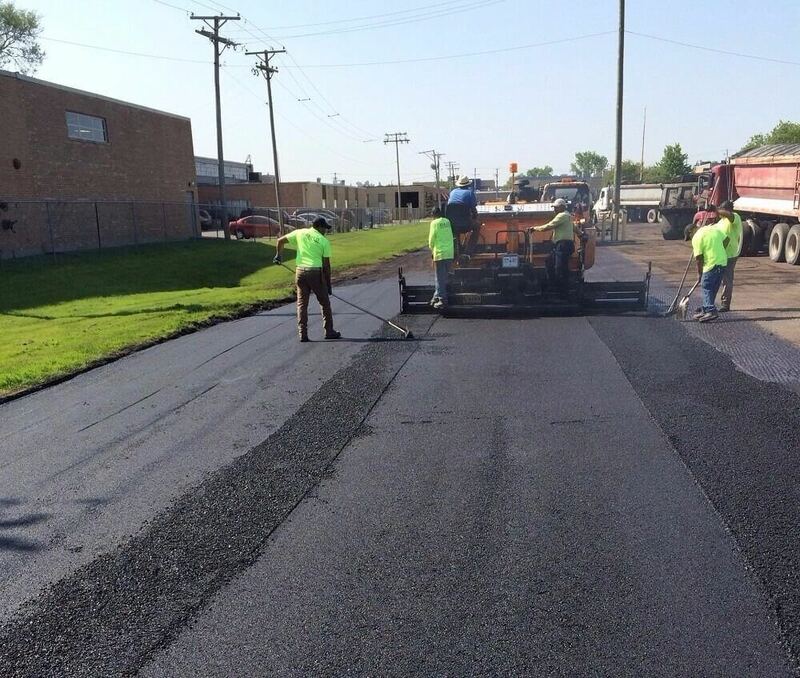 DynaCoat can keep asphalt hot for maximum compaction and strength while enroute to the construction site. Choosing DynaCoat means you get a high-quality product, expert paving knowledge, and a company who stands behind their work. Road repair options are dependent upon current conditions of road surfaces. Road resurfacing construction is necessary when the existing layer of asphalt has deteriorated past the point of repair. The existing surface is removed and a new surface is constructed. This resurfacing treatment is the most cost-effective repair for both heavy traffic and rural roads. It protects the asphalt from water and air damage which provides more grip. Existing asphalt surface issues such as cracks and potholes are fixed. Then the entire surface is coated with an adhesive layer and stone chips. Milling is a method used for grinding off the top layer of an asphalt roadway in preparation for new paving. There are exceptions where no milling or only partial milling are necessary.